In paying a visit to General Motors’ Tonawanda Engine plant, GM Head of Consumer Affairs James Bell told The Buffalo News that the company is looking to change the culture and “drain the swamp” moving forward, a transformation that may wind up having a significant effect on the future look of the Buick portfolio. Bell told The Buffalo News that Buick is “one of the brands I’m most bullish on within the GM portfolio,” a stance that seems to be well informed by his peek into the heart of Buick’s design headquarters and at some of the vehicles that we will be seeing over the course of the next five years. Bell called what he has seen in Buick’s crystal ball “beautiful” and “unexpectedly interesting looking.” He gave no further hint as to what is heading down the line, but it’s a fair guess that it’ll include a barrage of crossovers and perhaps even its own take on the Opel ADAM. 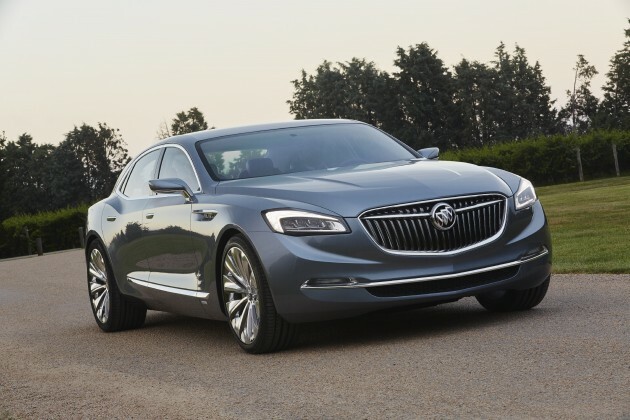 Hopefully, the Buick Avenir factors into those plans somehow. Buick will be releasing its new Cascada convertible later this year.